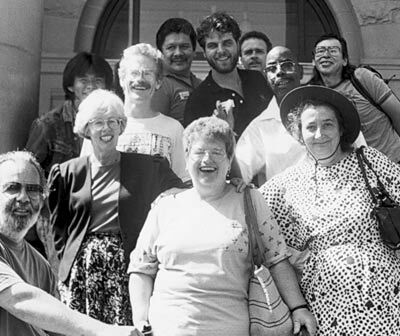 Poverty rights activist Sheila Baxter (centre) celebrates with friends at the entrance to the Carnegie Centre as the first recipient of the Vancity Prize in 1992. The Vancity Book Prize was co-supported by Vancity, the Government of British Columbia, Vancouver Public Library and B.C. BookWorld. It was founded as a joint project by B.C. BookWorld, Vancity and the Vancouver Public Library in 1992. The Vancity Book Prize was presented annually until 2005 to a B.C. author for best book in any genre pertaining to women’s issues. It provided a $3000 award to the winner, with an additional $1000 from the provincial Ministry of Women’s Services, donated to a B.C. charitable organization of the winner’s choosing.